It has been over 40 years since a coup d’état put an end to the Allende government in Chile. The main blow of the coup and its “raison d’être” (main reason), was aimed principally against the rise and embryonic (in its beginning) revolutionary consciousness of the working class, the peasantry and some low layers of the petit bourgeoisie. It was as savage and violent as to “cut every head that overpass” as the reactionaries and imperialism needed. Its form was that of the overthrow of a reformist alliance of petit-bourgeois-workers parties named Unidad Popular (UP, Popular Unity) lead by the Chilean communist party and the right wing of the socialist party. This people lead an adventurous, albeit reformist policy that brought the masses and their militant leaders to the slaughterhouse. Chile in 1970-73 was a country that had a fighting working class on the rise, but they followed the UP coalition. The socialist party, Allende’s party, was a conglomerate with a very “revolutionary” language but no internal discipline, full of factions and tendencies, useless to any other activity than winning and working for elections. It was the principal left party in terms of “loose” militancy, local authorities and MPs. The Communist party, was totally subservient to the bureaucratic Soviet party, and developed first of all, since 1934, what was a form of the Euro communist policy, later adopted by almost every European communist party (Italy, Spain, France and Greece were the more important). But it has a large and disciplined militant following in unions, and other working organizations and suburbs. During the 60s and later this Euro communist policy took the form of the “peaceful road to socialism”. In fact it has been the bloodiest ever in the long history of military massacres’ of the Chilean workers. This stubborn “Menshevik” policies has been put forward by the CP mainly because they don’t believe that in the conditions of Latin America it was possible a socialist revolution against US imperialism. O. Millas was the theoretical leader of the party and was very close to the CPSU. On several occasion he wrote that at most it can be possible to make some reforms to “modernize Chile” if, and only if, it “could be possible to unite a large number of social classes to isolate the “momios” (reactionaries)” and to neutralize the imperialists. For this, his strategy was to achieve a “Historic Compromise” with the Christians Democrats, the big center-right party. This conception went through the whole government of Allende and the UP. 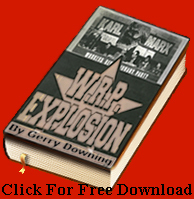 The problem of actually putting into action this policy was not only the opposition of US imperialism and the reactionaries, but also the working class which has begun to wake up and was fighting for what they thought was “socialism”. In fact the UP government enacted as many reforms as were possible, held back as they were by the compromises they had made with the state apparatus and the center right parties who had access to this government. They were a number of very serious reforms but all within the framework of Chilean capitalism. A large agrarian reform, the nationalization of the mineral riches of the country, the passage to the state of the whole banking system were important achievements. These measures, undertaken at the beginning of the Allende government, raised the enthusiasm and support of the working class that also had seen its wages and pensions increased by 40% and more. But, at the same time and in a very scientific way, reactionaries and imperialism begun to develop a full scale plan to oppose these reforms. Not only because it impinged very seriously on their interest but, for the imperialists, it signified an incursion into their “reserved back yard”. They moved then to put every possible obstacle in place against the “Historic Compromise” which they saw not only as an entrance of their arch foe, the “revisionist” or “bureaucratic” URSS, but mainly they feared “chaos” or a social revolution. They then organized every form of boycott of the Allende’s government, from refusing all credits, to maneuvers to lower the value of copper, the main resource of Chile, to supporting every reactionary newspaper, or a military putsch or the strike of the middle classes against Allende. The DC and the National Party (the conservatives and liberal assembled together in one party) made every legal and illegal move to paralyze production, halt the investments, starve the population by controlling the distribution of food, and by using every constituent body of the State (the judiciary, accounts, courts, police and parliament so that not a single law could be passed, etc.) and by promoting military uprisings as often as they could. There were at least six attempts in three years. In 1972 they triggered a “lorry strike” that paralyzed Chile. Chile is a very narrow country with only one motorway and one railway line all the length of the country, more than 2,000 miles. That bosses’ strike was defeated by the spontaneous mobilization of the masses; the rank and file UP members, the MIR and the PCR. The answer of the government, instead of pushing the advantage, was to set up a bureaucratic ministry compromising the military and the trade unions. Three months latter, in April 1973 , there were elections for parliament. The DC-right coalition believe they could win by a sufficient margin to depose Allende but the masses who at that moment didn’t want a fight because they didn’t have to and did not have organization nor the political direction to win, increased the vote for the UP coalition up to 44%. That was a “triumph” which the UP leaders didn’t expect, so big was the propaganda campaign of the reactionaries. This “defeat” of the tactic of reaction make for the turn to the coup d’état. Every Chilean knew six months in advance that the coup was in the making and was expected…soon… This put a survival question to every union leader, every militant, even every sympathizer of the “left”. When the coup came, in many places workers asked for arms to fight. There were none and in the very rarest places where there were arms, the people fought valiantly only to find themselves without direction, without support and at the end of the day without ammunition. The dictatorship could boast they have “vanquished Marxism-Leninism”. In fact they have vanquished an irresponsible, adventurous, Menshevik, revisionist policy that had led the masses, the left militants and their membership to defeat, repression, torture and death. The policy of the government caused the working class to lose 60% of its income but the agrarian reform was completed and the dictatorship finished the work of transforming Chilean agriculture from backward landlord big estates, the latafundias and small peasant ownership into a capitalist agriculture. The mines were not sold by the Junta; it was the “Democratic Coordination” (La Coordinadora Democrática, a coalition of the DC, the far right of the PS and others) who gave it back to the US companies But the masses suffered 16 years of repression, the destruction of the labour movement, no bourgeois democracy, and the rule of terror. The “Democratic Consultation” governed Chile for more than 20 years, but maintained all the counter reforms of Pinochet: The health system, the welfare system, pension provisions, the Pinochet Constitution, the anti-union laws, even his political repression against those who opposed capitalism arms in hand (some ultra-left groups who fought also the dictatorship). There are more than 99 extra-juridical murders by the police of the Coordination which has mounted “The Offensive” to persecute the same ones which the dictatorship had persecuted. In fact, this “Coordination” which came to power after an agreement with Pinochet, the armed forces and the US embassy, continued the very same policies as Pinochle but in a milder way. There were more public liberties and very few were persecuted by their opinions, but everyone who really fights as the impressive student movement that has lasted more than two years now, as the “mapuches”, the native people who have fought for their lands, are still very much oppressed and their ancient territories are occupied by the military police. Today after a right wing government which people voted in four years ago because they were fed up with those “socialists” and “democrats”, lost the elections held on 17 November 2013. 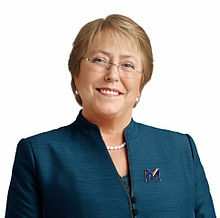 The former Socialist party (PS) president Michelle Bachelet presidential election did not get the absolute majority in the first round but won 62% in the runoff election on 15 December defeating right winger Evelyn Matthei Independent Democratic Union.